A Powerful Portable Direct Space Industrial-Grade Humidification System that Provides Fast-Evaporating 'Dry' Fog for Maximum Humidification, No Misting or Surface Wetting, No Puddles, Safe Around Electronics, with Over 24 lbs (3 Gallons) Per Hour Output Capacity, Standard 110v Power, All at a Discount Price with Free Shipping. Best for: Trucking - Sea Transportation - Produce Cold Storage - Seafood Disinfection - Meat Storage - Storage - Schools, Gyms & Classrooms - Houses - Restaurants - Hospitals - Electronics Manufacturing - Laboratories - Textile Manufacturing - Printing Rooms - Extra Large Walk In Cigar Humidors - Tobacco Storage & More! Powerful 25 lbs of Moisture Per Hour! Smart Fog systems are maintenance free--nozzles don’t need to be replaced, and only a water filter change if you choose to add the optional ZeroTDS filtration system. The ES100-2 system's output is strong. Eadh unit provides over 25 pounds (3.0 gallons) of moisture per hour, even at temperatures from 30 - 150 degrees F. Best of all, the SmartFog ES100-1 is easily portable, for fast setup and quick humidification at virtually any location with power and a water source. An optional zero TDS (total dissolved solids) water filtraiton system is available, if needed. 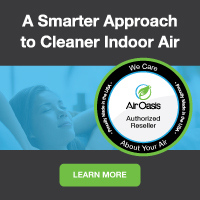 If you need fast, dependable, portable spot or room humidification in a large room. at an affordable price, the SmartFog ES100 system is a perfect choice that will not wet surfaces and will accurately maintain the humidity you need. Order your SmartFog ES100-2 Portable Commercial Humidifier today and put that consistent, perfect SmartFog humidity to work for you!